If you’re facing a family law problems our Creek County Family Law Attorneys can help. Our Oklahoma attorneys handle all sorts of family law cases in Creek County. From a contested or non-contested divorce on to paternity law we can help you. We are well versed in all visitation and support issues as well as emergency custody and guardianship cases. Family law cases require the kind of legal representation that understands when to fight and when to negotiate. 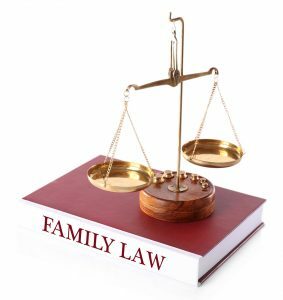 If you require reasonable and balanced family law representation contact our Creek County family law attorneys. These two avenues seem relatively easy to understand. They are a bit more complex than you may expect though. There are some minor differences in the two that can make a big difference when completing the divorce process. Agreed divorces are what they seem in many ways. The parties agree on all issues related to the separation and divorce. They are ready to finalize things and complete the final divorce decree. This means the parties agree on every single part of the separation: child custody and support, property division, and all other issues. Contested divorces carry a much different meaning. If the parties cannot agree on even one issue, the divorce becomes a contested one. The first step of this process is using a mediator in an attempt to settle the disagreement amicably and to the benefit of both parties. If this is not possible or an agreement cannot be reached during mediation then trial is set. During trial witnesses must testify and evidence will be presented to support the case. At the completion of trial, the judge decides the final decree. Once the judge makes a decision the decree is finalized. Our Creek County family law attorneys can help you file your paternity case. When a child is born to unwed parents who are now separating this is when a paternity case is filed. A paternity case acts like a divorce case in that it attempts to settle child custody and visitation issues. The big difference between paternity cases and divorce cases is that when a child is born during the marriage this child is presumed to be the child of the married couple. This is different when the parents are unwed and they have a child. In this situation there isn’t a legal presumption that child’s father is in-fact the child’s natural father. For this reason the parents have to file the case and get the father adjudicated as the natural father. This is only done with the signature of the District Court Judge in the county where the child is found. Once the child’s father is adjudicated the natural father the case moves forward just like any other divorce case. Our Creek County family law attorneys help with all types of child custody cases. There are several different options for child custody in Oklahoma. Two of the choices involve either joint custody or sole custody. In Oklahoma child custody law presumes the parents share custody or have joint custody. The parent that disagrees with this legal presumption is charged with overcoming this legal presumption. This is done by showing the court that joint custody or equal access to the children isn’t in the best interest of the child. There are other considerations that drive child custody. Together with best interest arguments there might be certain practical considerations that must be taken into account. Those might involve work shifts or where the parents live in relation to each other and the child’s school. Child custody is one of the leading reasons that divorce and paternity cases end in litigation. The truth of the matter is that this is easy to understand given the consequences involved. Also the contentiousness relationship between the parents often times acts a fuel to the fire. With this said parents need to be ready to find an agreement or be prepared to put on a trial and after all the facts are presented to the Creek County Judge they will decide. The process is long but the process can be resolved with good legal guidance and preparation of the parents.